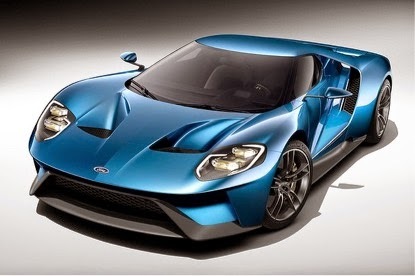 A Tasmanian has designed one of the showcase cars at the recent Detroit Motor Show – the new Ford GT. This was one of three headline grabbing cars revealed at the North American International Auto Show in Detroit this month which were designed by Australians. While Holden’s design studio in Port Melbourne was responsible for the design and construction of two of General Motors’ showpieces, over at Ford, the creation of its stunning GT supercar was overseen by Tasmanian Todd Willing. Hobart born and bred, Willing managed a team of just six designers under a shroud of secrecy to create the mid-engined Ford GT in a secret location in the US. He was reportedly not permitted to tell his family or friends what he was working on for more than 14 months! The car has special significance to Ford as the original Ford GT40 won the LeMans 24-hour race four consecutive times from 1966-69 after being defeated by Ferrari in the previous six years. This new car controversially runs on a twin-turbo V6 engine rather than a V8, but Ford says it makes more power than its predecessor without burning as much fuel. Willing has heard and seen the car being tested but as yet has not driven it. And although it’s a ‘global car’ it will be manufactured only in left-hand drive and not sold in Australia. Having managed the top-secret supercar project he has now returned to Australia as the head of Ford’s Asia-Pacific design studio in Broadmeadows. It is the first time Australian designers have played such a significant role on the world stage and shows that we can still have some input into the worldwide automotive industry while the local manufacturing industry comes to an end. And it just goes to show the talent that comes out of Tasmania!